SHAH ALAM: RMAF Flying the Flag in Indonesia. Two RMAF C-130H and a single A400M are currently involved to support the humanitarian relief effort in earthquake and tsunami hit Palu and its surrounding area. Previously only the Hercules were able to fly to Palu from Balikpapan, Kalimantan as the airport was damaged in the earthquake. However since two days ago, RMAF sole A400M involved in relief operations, M54-04 has been able to fly direct to Palu from Jakarta where it had been based since it was sent there late last week. Today it flew a 22 tonne excavator directly to Palu from Jakarta, likely to be used in search and rescue operations in the quake hit city. Tail number 04 – the same aircraft involved in Ex Pitch Black in August – replaced 02 which had started the mission last week. RMAF has not explain why they replaced 02 with 04 half way the mission. It’s likely though that 04 crew had “trained” for landing on a shortened, earthquake damaged runway at Palu before undertaking the actual one. It is also likely that 02 had returned home after 04 arrived in Jakarta as RMAF had said it has only one A400M involved in the relief operations. RMAF M54-04 being loaded with the fuel tanker in a TUDM tweet on Oct. 7. For the relief effort, RMAF is working with the Indonesian government and Airbus Foundation. The foundation issued a release detailing the operations. The Indonesian Government, the Royal Malaysian Air Force (RMAF) and the Airbus Foundation have been working together to support humanitarian relief efforts in Palu, Indonesia with the deployment of a RMAF A400M and the distribution of emergency supplies to the city. The A400M, which arrived in Jakarta’s Halim Air Base on 4th October, has been delivering relief material to Palu to support the victims of an earthquake and subsequent tsunami, which devastated the city on 28th September. The A400M’s cargo included fuel trucks from Indonesian oil firm Pertamina and excavators from industrial products manufacturer PT Pindad. 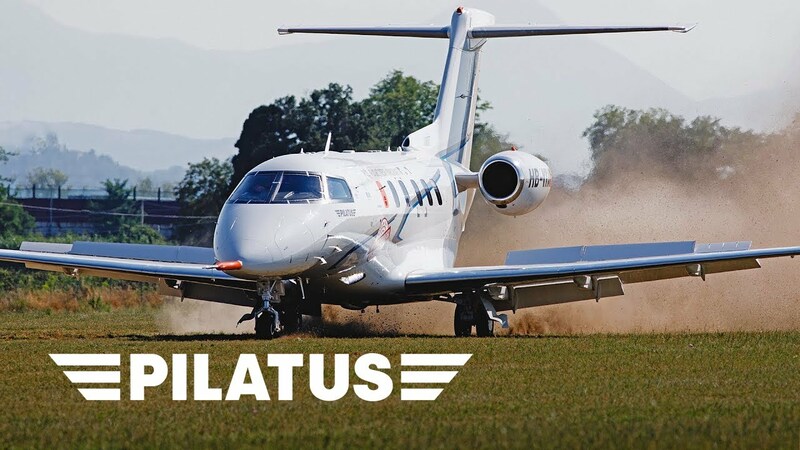 The aircraft also transported food and drinks, clothes, and medical supplies collected by the Indonesian Ministry of State-Owned Enterprises. It will be distributed via the ministry’s corporate social responsibility (CSR) networks, which are actively supporting the relief efforts. The Airbus Foundation is also supporting the transport and the distribution of emergency supplies by helicopter and is already helping the IFRC by providing 45 flight hours with an H125. The Foundation is also supporting Medecins sans Frontières (MSF) by enabling them to contract an H155 operator who will be assisting relief efforts for a few weeks. Furthermore, images from Airbus satellites are being used for emergency response following the activation of the International Charter for Space. The earthquake was followed by a tsunami of up to six metres, which struck Palu and neighbouring Donggala. More than 1,400 people have died, around 5,000 residents have been reported missing and over 200,000 people are in need of emergency assistance. Although it has been reported before that two RMAF EC725 helicopters will also be involved in the relief operations, it appears that this had not happened. Apart from the sole RMAF A400Ms involved in the operations, two more A400Ms are also involved, one each from the Royal Air Force and French Air Force each. The other foreign aircraft involved are mostly Hercules and C-17s from Australia, India and Qatar as well. It is also interesting to note that the 04 is still fitted with the air-to-air refueling pods which proved very elusive when these were delivered earlier this year. 24 Responses to "Flying the Flag in Indonesia"
Is this the same aircraft used for pitch black deployments? Do you have the tail numbers of the c-130h-30 that is now deployed in indonesia? What i can see it one is in the green camo another is the normal grey one. What other airborne assets we can contribute? Police Pilatus porters, AW139s and kingair350s. Bomba Mi-17. PUTD Nuris. From pictures the Green Hercules tail number 10 while the other is 16. As for the other aircraft it will depend on Indonesia. Seems like our investment on the A400Ms are paying off mission by mission. Kudos to the RMAF! Back to RMAF A400m…. is it a good decision to have it with it outstanding performance compare C-130h? Indon should have a bigger cargo/transport plane such as A400/Il76/C-17. But TNI chose to buy C130J. While MY with smaller land with no huge disaster already has A400. C-130J was the alternative I recall, and considering the ongoing issues the A400M programme is facing, and that the Herkybirds were able to begin ops in Sulawesi before the A400Ms, and we now have another rojak situation with both Hercs and A400Ms, I don’t think the right choice was made. I believe it serves different functions, A400M and C-130. But A400M really proved it’s uses when dealing with such situations. The a400m can carry loads with the volume the herc cannot carry, like the huge excavator it flown to palu. Of course it has its uses, but is it an important need more than say MPAs, UAVs and fighters? That is the real question. But as we already have them, using them for HADR is one of the best that we can do, but we need to really maximise its use. Things like rapid deployment of heavy equipments for 10 PARA, SAR (something RAF has studied for falklands deployment), EC725 and CB90 combat boat deployments. In the future, expanding the fleet with additional a400m from unwanted spanish or german allocation (of course for less than retail prices) would be a good idea. As for our C-130H, upgrades to the engine, new 8 blade propellers and converting a few (2?) with anti-missile systems (DIRCM), air refuelling probes, FLIR and ballistic armour for special force support and ISR would be a useful capability to have. A400M’s high volume advantage over C130J is of limited advantage to us, unlike the NATOs who want to use it as a tactical airlifter for IFVs. Even though (I think) we can send Gempitas via A400M, with only a total fleet of 4 it is highly inefficient. That the C130s were able to operate in rougher conditions than the A400M, and so start helping sooner in the Sulawesi op, is rather a strike against the A400M. Both aircraft have similar payloads. The A400M has longer range if I’m not mistaken, but I’m not sure that’s a key requirement for us. So we have to ask ourselves, what few minor advantages the A400M has over the C130, is it worth operating two types of similar aircraft, when we could have bought the C130J instead? A400s are proving at least some MinDef decisions are spot on. I rather like the idea of retrofitting new blades/ engines on some of TUDM Hercs while disposing of the older ones in the inventory. Maybe money saved can be used to buy more MP KingAir 350s for the MMEA or whatever agency that’s going to be tasked with maritime patrol duties in the future. The a400m can carry more payload to similar range of c-130 or same payload to twice the range. Takeoff distance at max weight a400m 940m vs 953m for c-130j. So it is pretty similar in that case. Both airplanes can land on unprepared dirt strip, so no issues on paved runways. We actually have adequate numbers of c-130s and does not really need the a400ms. Even our cn-235s are really underutilised (so why not convert all to mpas?). What we need now is smaller transporters that would be useful for mercy flights and communication flights. An a400m carrying a single patient is a waste of resources. I believe something like the pc-24 would be useful, able to land on grass or gravel and have a cargo door. Props need to be retrofitted, engines just minor mods during overhaul to new standards (with 10% more efficiency). Both upgrades can be done during normal overhauls using overhaul budgets. I doubt the A400M proved anything. We sent a 22 tonne excavator because we could. A smaller one would have served the situation just as well, such as a 20 tonne one that a C-130 could lift. Bear in mind that the operation needed all of two aircraft- we have a fleet of how many C-130s? If absolutely necessary, equipment could have been disassembled as is done all the time. Given that Airbus Foundation was involved, the whole thing could have been an exercise in self-justification, a PR stunt and in our case, a decision taken in the light of convenience and third party funding. 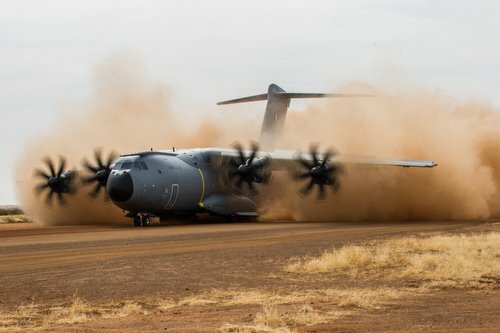 We should be under no illusions that a few A400Ms are going to magically solve our air mobility problems or make a substantial difference over a C-130. Given many of our airports are small, the requirement for longer runways should not be taken lightly. Nor should the additional cost. There’s also the matter of ongoing sustainment that no operation can do without. Tell me that palletized beans, bullets and bandages can’t be sent by C-130. Unrelated question, Did Brunei ever end up transferring the S-70s to RMAF? or what happened to the deal? You’re right, I misread the specs for C-130J. Almost double the payload is quite a plus point then. BTW, do you (or anyone here) have data on the current ATM 1st to 5th Division assignations? ie which battalion is assigned to which formation? Also which are mechanised, with what vehicles? Working on something… sort of an appraisal, from a public point of view. Isn’t Indonesia getting 5 x A400, Marhalim? I kept track of 1-4th div, including the new regimen sempadan. As it is i am also looking for 5th div proposed structure. Btw i dont think it is possible to do a short article on TD as a whole. It needs to be broken down to many parts like para, infantry, motorized, mechanized, armor, artillery, air defence and special forces. As for the a400m, IMO it is actually answering a question that TUDM didnt ask actually. We have 14 Hercules and 7 CN-235. As of now it water under the bridge but without the a400m we could probably have a good MPA capability by now. We delivered a fuel tanker where it would have problems clearing the lower ceiling height of the C130. Internal dimension space has an irreplaceable quality of its own. Can I email you? If yes I’ll ask Mr Marhalim for your email address. True, but we don’t have any Smerch to lift since we only have Astros. There are always outsized examples of things that we don’t have the military necessity to airlift. Numerous vehicles and loads are designed around the C-130 as a standard, fuel tankers included. Was there necessity to send all that fuel at one go- or was this a demonstration organised by Airbus that they assisted and paid for? Chua, if you want a little background info on vehicle types, check out the pictures on battalion facebook pages. There’s recently been a push to get a facebook page for almost every unit in the MAF. “…including the new regimen sempadan. As it is i am also looking for 5th div proposed structure…” Two RS Bn from Swk likely move out to Sbh to create new Bde. “Mundaw: Two Border Regiment battalions in possible Sabah move …” borneopost 0ct 2. I believed that neither Pertamina nor any civilian fuel provider would have the low clearance tankers that are common in military. Of course these are mostly designed & built around the capacity & payload of the ubiquitous C-130. However in wartime/disaster, the military should have the capabilities to utilise civilian assets since desperate times means using whatever resource that’s available. If a civilian tanker cannot be loaded in and transported by a C-130, that’s just a precious asset we cannot use if we don’t have the A400Ms. While certainly these are good PR for Airbus, and their assistance certainly makes things fishy, I’m sure Indonesia wouldn’t allow unnecessary transport of materiel that’s not needed into a crowded and heavily damaged airport teeming with multinational teams. Certainly an A400M fully loaded with 37 tonnes of food & medicine would work just as well for PR purposes. Perhaps, Indonesia needed 40ft tankers in the scene and just so happens, the A400Ms and C-17s are the only ones there capable to airlift them. C130 is a legend. It is the most succesful transport plane. It is not too big or too small and it is fit for most AF requirement worldwide. Other types of transport planes are complementary only. FYI, transporting vehicle by plane is luxury. Using LPD/LST is cheaper and more effective. So, buying A big tranport plane for the sake of transporting armour vehicles is wrong. Procurement of A400 by RMAF is driven more by political interest and another “tongkat’ for CTRM to supply parts to Airbus. RMAF still have enough numbers of operational transport planes. A400 is not a priority need actually but MPA and MRSS are. I was in Palu few days after the earthquake. The rubway was not damaged as you described, the Indonesian army closed the airport for 2 days specially for landing herculeses and bringing aids in along with the soldier also to bring refugeses leave Palu. The one that damaged is the ATC tower that was topled down.